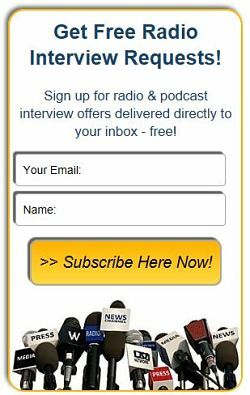 Marc Hoberman, Test Prep Expert, Educational Consultant, Best Selling Author, and Teen Illness Survivor - Radio Guest List.com - How to Get Radio Interviews and Find Podcast Guests! Marc Hoberman is an Educational Consultant who is an expert in SAT/ACT test prep, overcoming teen illness, and beating stress. His inspirational memoir: Adversity Defeated: Turn Your Struggles Into Strengths tells Marc's story: He was diagnosed with epilepsy at the age of 16 after a stressful move from New York to Florida. His story follows his experiences up to the present day where he has taught for over 32 years and helped many teens and parents navigate difficulties of topics ranging from illnesses, academics, test anxiety, and more. Listeners will learn how to deal with stressful situations. Whether your audience is teens or their parents, Marc's story will resonate with a wide range of listeners. His expertise in education combined with experience with his own illness (and how he would not allow it to define him) will be inspirational for all who hear his story. SAT/ACT Prep, What is the best test for you. Speed Reading and Study Skills. 32 years as an English Teacher and SAT/ ACT Prep Consultant. Owner of Tutoring Service for 25 years. Author of memoir Adversity Defeated: Turn Your Struggles Into Strengths for teachers. Author of Highly Effective Teaching Strategies: Winning in the Classroom. Contributing Author for Parent Magazine and the American Camping Magazine. Former Staff Writer for Canada Camps Magazine. Featured Speaker at the Young Adult Institute Conference, New York Reading Conference, New Jersey Reading Conference, Tristate and Canada Camping Conference and New England Camping Conference Presenter . In person within a 50 mile radius of New York. Sometimes further if possible.